Polistrat is Filmcutter’s exclusive multilayer laminate created by uniting multiple layers of polyester film. Polistrat is a new technology for the physical and dielectric separation of primary and secondary windings in dry type transformers that is lighter, smaller, less expensive and much easier to work with. As a result, you can use this material directly to form the cylinders that provide the insulating barrier between low and high voltage coils while remaining within thermal class F (155°C). 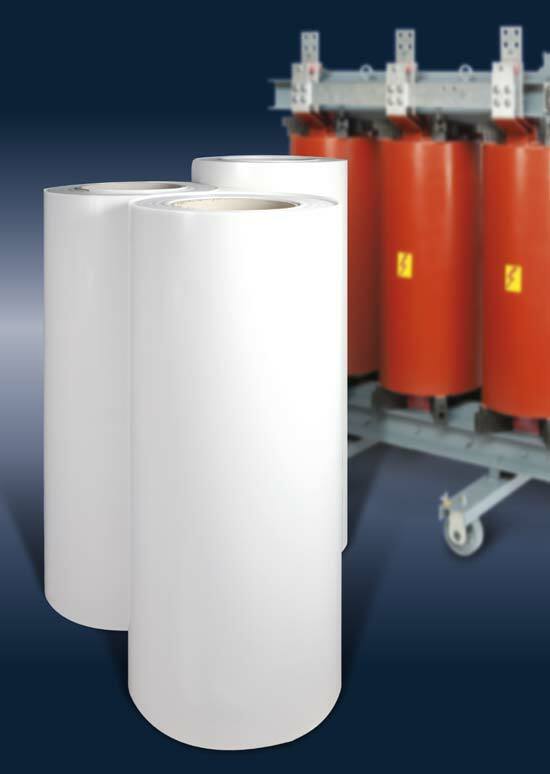 In versions in which the traditional polyester film is laminated on its exterior side with a polyester non woven fabric or with aramid paper, this product can achieve considerably greater performance levels up to, for example, thermal class H (180°C). Polistrat, Filmcutter’s exclusive multilayer laminate, is the best alternative to heavy fiberglass cylinders for insulation in dry type transformers. Rolls of Polistrat can be provided in widths of up to 2,000 mm to meet the needs of our customers. In addition to this primary application, Polistrat can also be used in narrower widths, starting from 35 mm, as spacer coiling. Its ease of use, practical applications and low cost make Polistrat the best product available for use as a barrier between low and high voltage coils in dry type transformers.